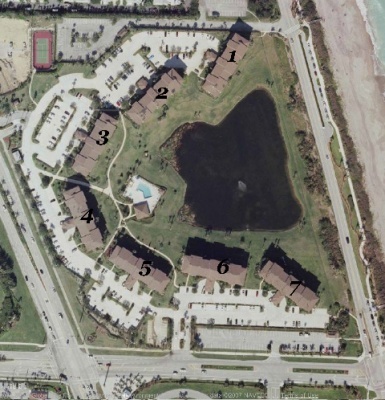 The Bluffs Ocean South Condos in Jupiter consist of 7, four or five-story buildings with 198 units, sitting on 26 acres of oceanfront property, all overlooking the bluffs, lake and the ocean. They are the typical 2 bedroom, 2 bath, 1,385 sq.ft condos with two covered balconies - one off the master and the other off the living area. The 100 and the 700 buildings are the two closest condos to the ocean. Take a good look at oceanfront condos in the Bluffs. This is a gated community, well maintained and featuring very low maintenance fees. Just across the street is shopping and restaurants. The Bluffs South have low condo fees, just about $1,200 per quarter. The community pool has a small covered area as well as a tennis court out by US 1. They keep this condo and the grounds impeccably maintained. The beach across the street is dog friendly and just a short walk to Juno Beach Pier. See more Jupiter Beach homes online. View current listings for Bluffs Ocean South condos or read more about the features in this desirable oceanfront property. 1 rental per year and a minimum 4 month time frame. The Bluffs South do not allow pets, trucks, vans, Escalades or Ford Sport Trac's that have open beds. Carpet must be in living areas. No wood or tile allowed in main living areas. 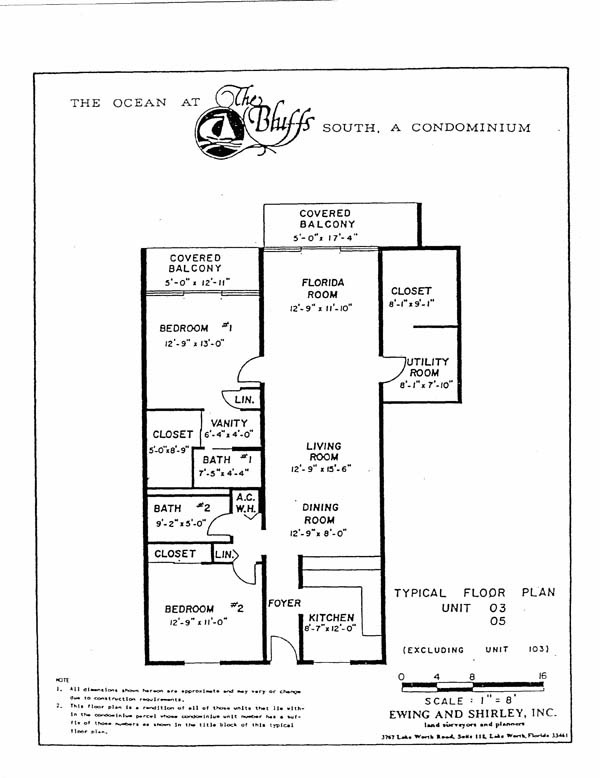 The Bluffs Ocean condos are great properties for several reasons. Their low carrying costs, well maintained buildings and proximity to beaches and shopping make the condos great rentals. You really want to be third floor or higher to get the best ocean views. Many buyers do want condos directly on the sand so in this case you must try Ocean Trail or go to Juno Beach. 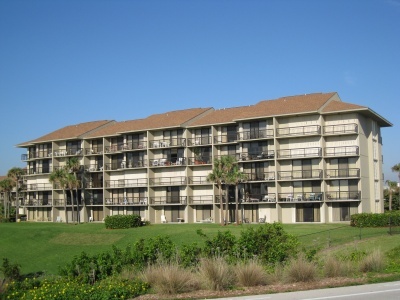 Juno Beach offers both low end as well as high end ocean condos that you walk out onto the beach. Being right on the sand makes for just the sound of waves and wind. No matter what you would like for beach condos we can help you find that perfect oceanfront condo in Juno Beach or Jupiter. Don't forget we sell in both Singer Island condos and Jupiter Island condos which gives you both Intracoastal views and ocean views from many condos. They offer spectacular views both day and night. There is a perfect oceanfront condo and I promise to find it for you. If you have questions, or would like to view a Bluffs Ocean South condo, please don't hesitate to email or call Jim at 1-561-744-7025 for assistance.